Intermediate. 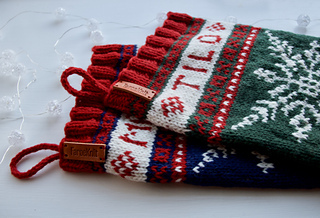 If you know how to knit in the round and how to knit with 2 or more colours at the same time, you will be able to knit this pattern. All my patterns include finished size, gauge and metric and US measurements. 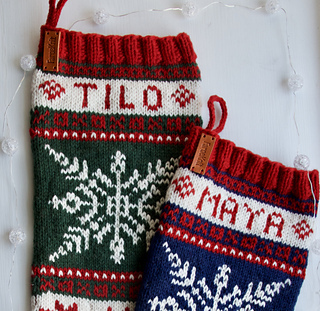 Alphabet knit chart is included, making you able to knit every name you want in the stocking. 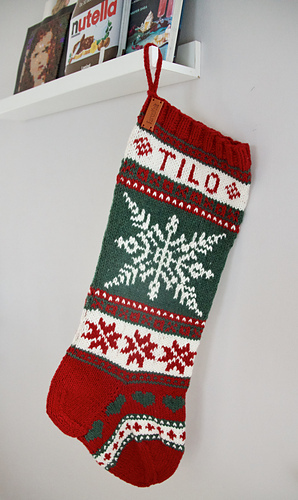 This wonderful ‘Winter Wonderland’ Christmas Stocking can be used each year for Christmas, give it as a gift for your kids, grandkids or your significant other. There is nothing better than a personal gift. Finished size: 50 cm long and 36 cm in circumference. 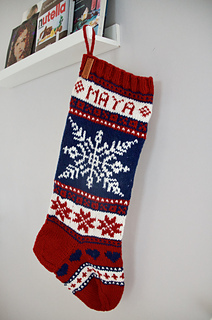 US size: 20 inches long and 14.5 inches in circumference. If you have any questions about the pattern, you are welcome to contact me, and I will answer as quickly as I can.